Preprogramming from the summer of 2015? On Saturday, February 20, 2016, Uber driver Jason Brian Dalton, 45, killed six people in Kalamazoo, Michigan, in the 42nd mass shooting of 2016. The first people killed were Tyler D. Smith (17), and his father Richard E. Smith (53), who were both killed at the Kia car dealership. Four women – Mary Jo Nye (60), Mary Lou Nye (62), Dorothy Brown (74), and Barbara Hawthorne (68) – were killed at the Cracker Barrel. A 14-year-old girl who was with the four women at Cracker Barrel was shot in the head, and was initially presumed dead, but later confirmed to have survived. As of February 23, she remained on a ventilator and in critical condition. Then another shooting happened in Kansas. 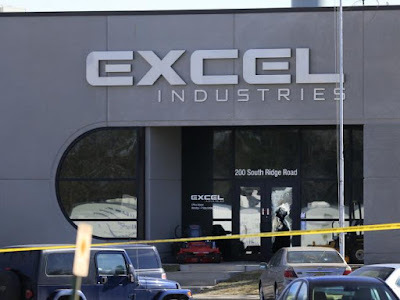 On February 25, 2016, three people were killed and fourteen others injured in a series of shootings in Newton and Hesston, Kansas, including in and outside an Excel Industries building. The dead victims were identified as Randall "Renee" Benjamin, 30; Joshua Higbee, 31; and Brian Sadowsky, 44. 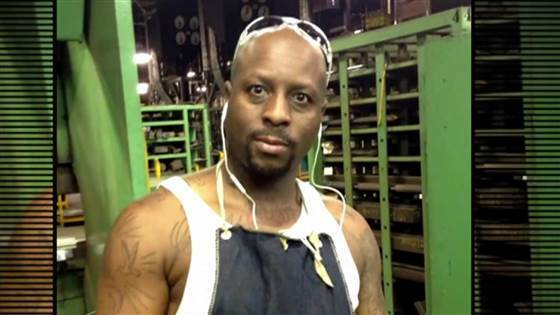 All were killed inside the Excel plant.The shooter, identified as Excel employee Cedric Larry Ford (pictured below), was then killed by a responding police officer. The shootings began at around 4:57 p.m. at a street intersection in Newton, where Ford shot at two vehicles in a drive-by shooting. The first motorist suffered a non-fatal gunshot wound to the shoulder, while the second motorist escaped unscathed after a bullet pierced the car's windshield. He then drove down Old U.S. Route 81 and fired at oncoming traffic. His vehicle and another one crashed in a nearby ditch, after which he got out, shot and injured the other driver in the leg, and stole that victim's vehicle. To excel is to do better than others. Mass shooters often covertly compete against each other. Ford then arrived at Excel Industries, a manufacturer of lawnmowers, in Hesston, injured an elderly woman in the parking lot, went inside the building, and fired randomly at the assembly lines, shooting several employees. He then shot at the first officer to respond to the scene, and the officer fired back. He was struck by bullets and died at 5:23 p.m. Ford was armed with a Zastava Arms AK-47-style semi-automatic rifle and a Glock 22 semi-automatic pistol. At least 150 people were inside the plant at the time of the shooting there. Recall that the mass shooting right before Newton-Hesston, Kansas, was the one in Kalamazoo. 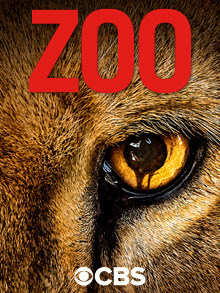 Strangely, in a CNN article on Cedric Larry Ford, it was noted: "On his first visit to a zoo, he was awestruck by the beauty of wildlife, friend and co-worker Matt Jarrell said." It seems an odd detail. Attention should be given also to the fact that this shooting spree began in Newton, Kansas, reminding some of Newtown, Connecticut, the site of the Sandy Hook school shooting of December 14, 2012, occurred. Many of the early settlers of Hesston, Kansas, were Mennonite farmers. In 1909, the Mennonite Church founded the Hesston College, because of that fact. Cedric (French spelling: Cédric) is a masculine given name invented by Sir Walter Scott in the 1819 novel Ivanhoe. It is of Old English origin, and the meaning of Cedric is "kind and loved." The invented name is based on Cerdic, the name of a 6th-century Anglo-Saxon king (itself from Brittonic Cortices). Have you noticed how the mainstream media are not talking about mass shootings as much as usual? President Obama told the media that to mass shootings should dominate the news on Friday, February 26, 2016, saying "the real tragedy is the degree to which this has become routine." The media is overwhelming the US public with its obsessive attention to ad hominem attacks between politicians, especially on the Republican side. Covert violence. Those who are being triggered to "go off" are getting the message. The verb 'zastavat' means 'to hold, occupy, advocate' while 'zastavat se' means 'to defend, stand up for, champion'. Also I notice that Cam Newton has been attacked for his fumble in the 5th NFL Bowl Game.